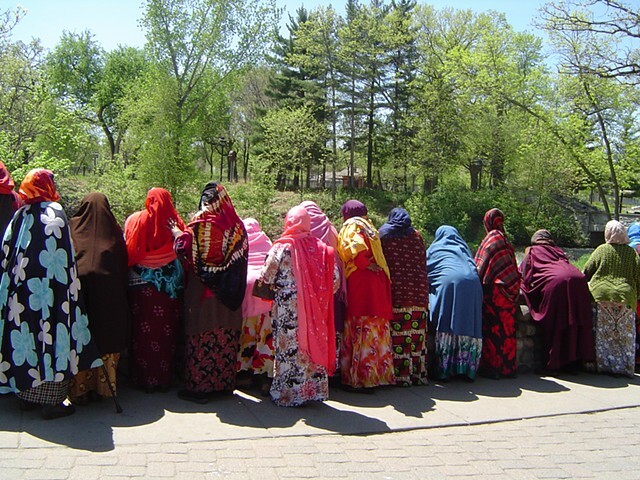 This photo marks the first visit by this group of east African women to Minnehaha Falls in the Spring of 2012, when the falls was at a record high level due to higher than average snowfalls the previous winter. The women had lived in Minneapolis for several years but not known about the park in their community. On this day they were invited to visit the park on a "Walking Tour" for health and wellness. While they viewed the falls I shot this picture in admiration of their colorful garments.